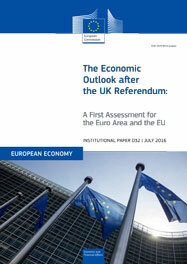 The economic outlook after the UK referendum: Commission publishes a first assessment for the euro area and the EU. Institutional Papers 32. July 2016. Brussels. PDF. 24pp. Tab. Graph. Free.